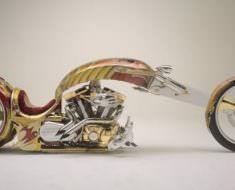 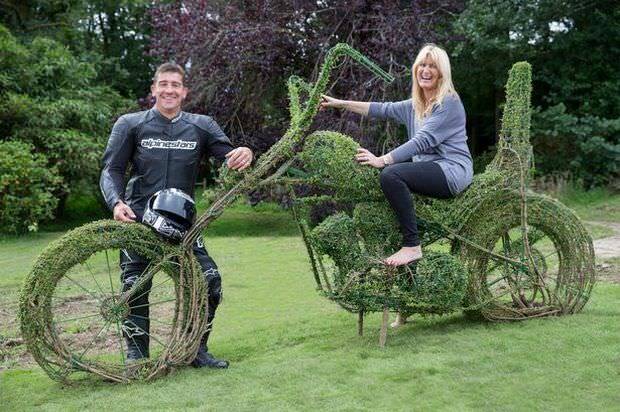 Imagine receiving a $1,000,000 gift and using the money to make something beautiful that reflects your passion for motorcycles – like incredible motorcycle topiary art! 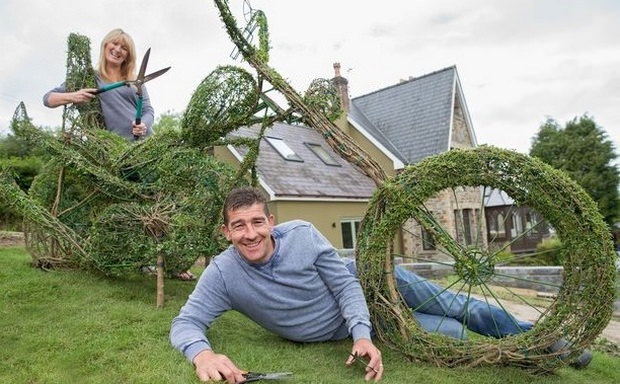 That’s exactly what Chris and Geraldine Bradley did after their grandfather hit the lottery and gifted them a million dollars. 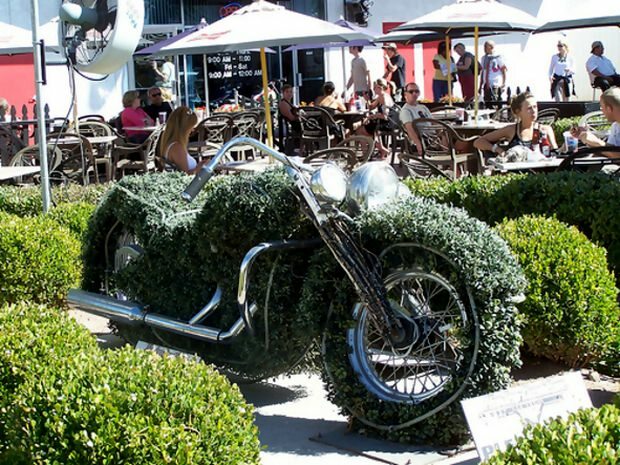 If you’re not sure what the concept of topiary is, it’s simple: the art of clipping trees, bushes and shrubs into interesting shapes. 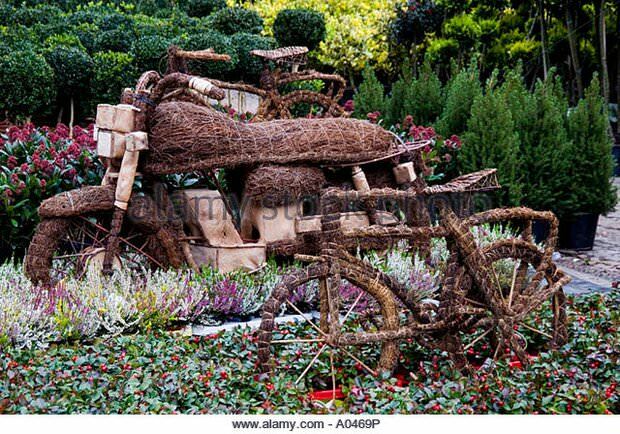 It’s a very popular horticultural practice that’s been going big way back since the European times. 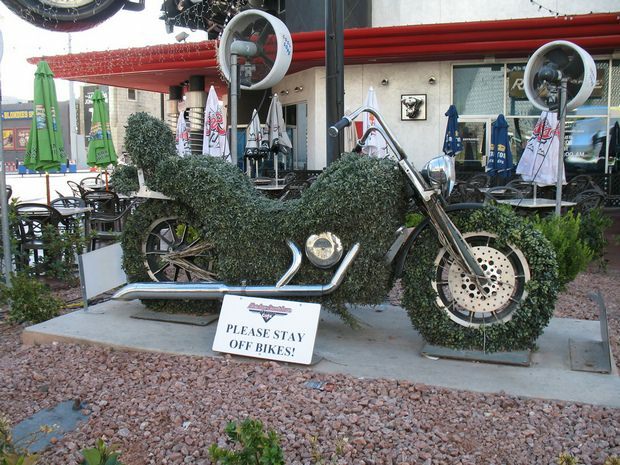 Modern day topiary includes creating your favorite item out of trees or bushes: a motorcycle. 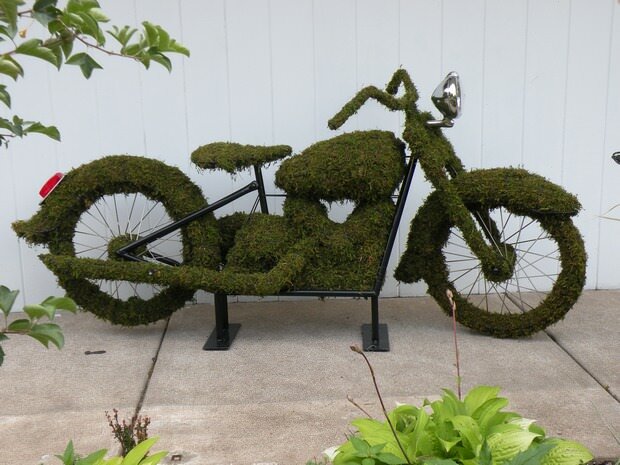 What could be more perfect for a biker’s lawn than a huge, beautiful motorcycle topiary that portrays your love for motorcycles perfectly? 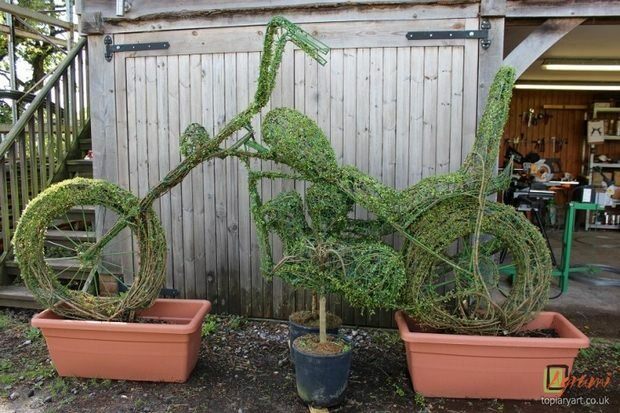 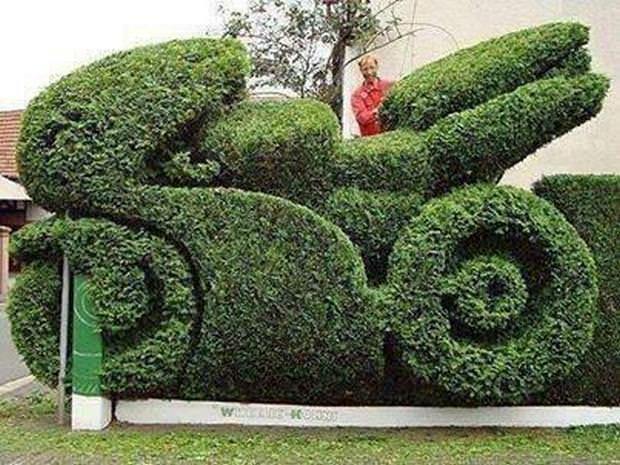 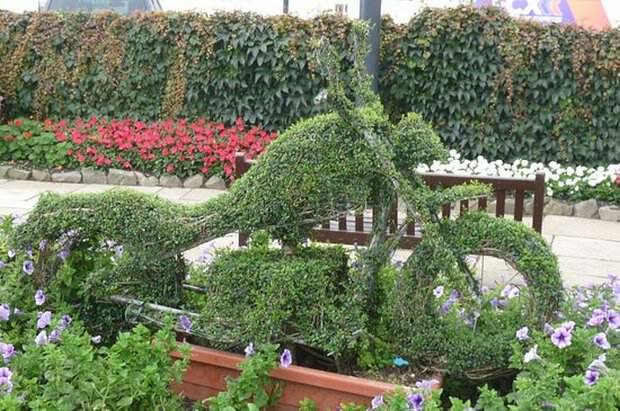 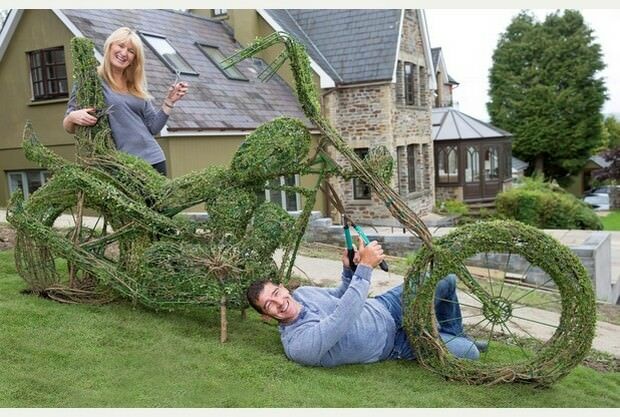 Check out this collection of some amazing motorcycle topiary photos! 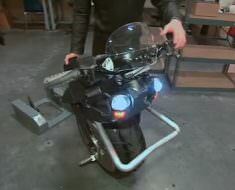 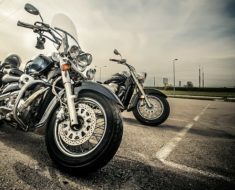 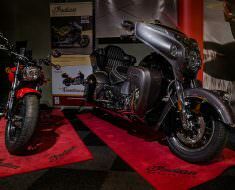 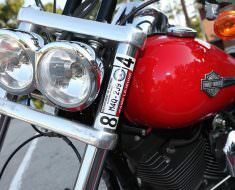 Should You Warm Up Your Harley Before Riding it? 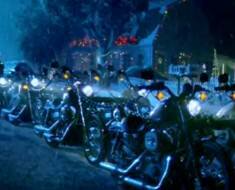 Previous Previous post: CHiPS Movie Trailer – Hilarious Motorcycle Cops Comedy!